A straightforward walk to Rock Peak (1490m) through tussock grass at the southern end of the Pisa Conservation Area. A dramatic and sometimes hair raising circuit walk high up in The Remarkables Range above Queenstown. 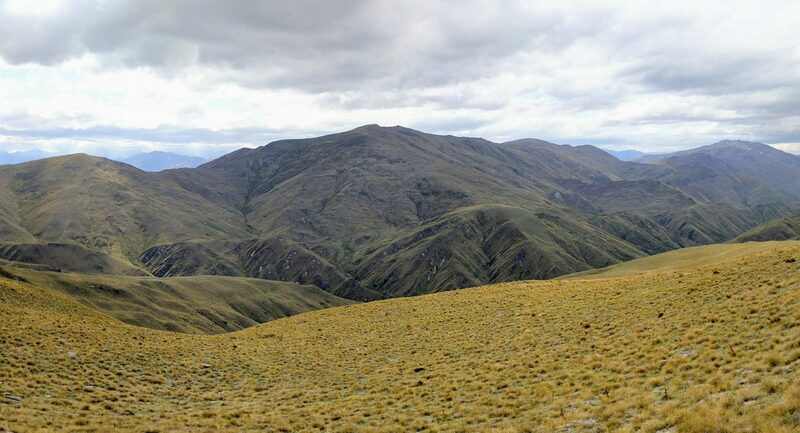 Brow Peak (1456m) near Arrowtown is an accessible mountain with fabulous views north over wrinkly golden brown mountains, and south over the Wakatipu Basin. 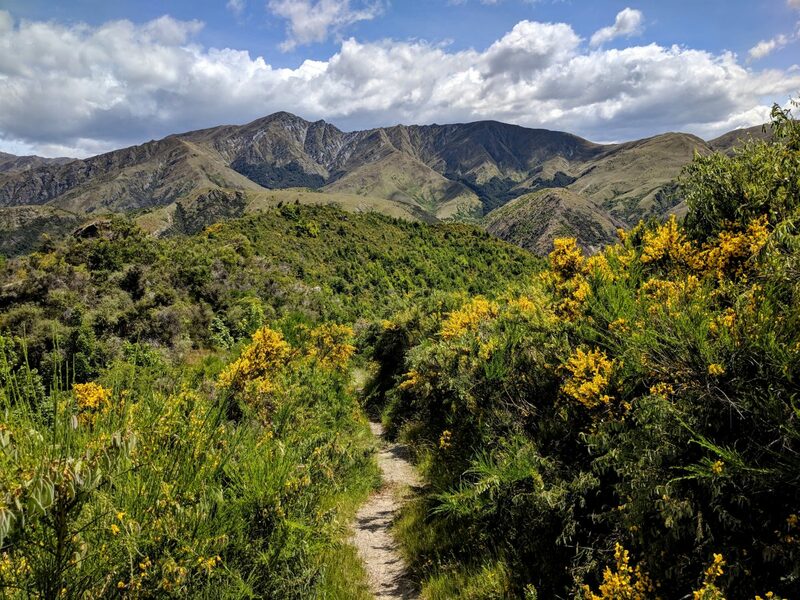 A shortish circuit walk out the back of Arrowtown that offers pleasant rather than spectacular scenery. 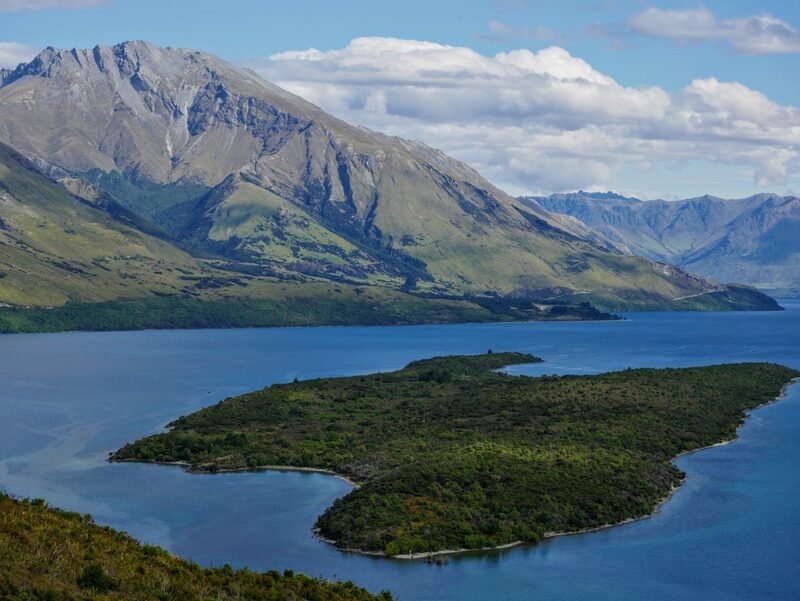 A shortish walk on Pigeon Island, at the northern end of Lake Wakatipu, surrounded by spectacular mountains. You’ll likely meet a weka or two as well. A really excellent walk to a minor peak on Mt Crichton. Fabulous mountain and lake views almost the whole way, and a good work out too.